Discover all about the pre-school animation, Bing. Discover all about the pre-school animation, Bing. From an evening in 2000 with an author stood on a crowded Tube train on his way home, to the birth of a new British indie film company, to a BAFTA nomination, an International Emmy Award and a Writer’s Guild of Great Britain Award, Bing has already been on an incredible journey. For Team Bing, it all still feels like just the beginning. From idea to book to screen – and now beyond into the realms of digital and toys – over 575 people have so far been involved in the realisation of the Bing project, striving for a creative standard aimed at delighting children and the grown-ups in their lives alike. The journey started with author Ted Dewan realising with some surprise, as he travelled towards his evening’s shared storytelling ritual, that he was dreading re-reading a favourite book to his then young daughter. He felt he was helping to depict a simplistic and overly sugared version of childhood. The stories seemed fake and boring and totally at odds with the tumultuous reality of a life shared with a toddler. Ted set about creating a series of preschool books that actually acknowledged and celebrated the exploration, energy, curiosity, sheer joy (and frequent mishaps) in the life of a very young, very small person. 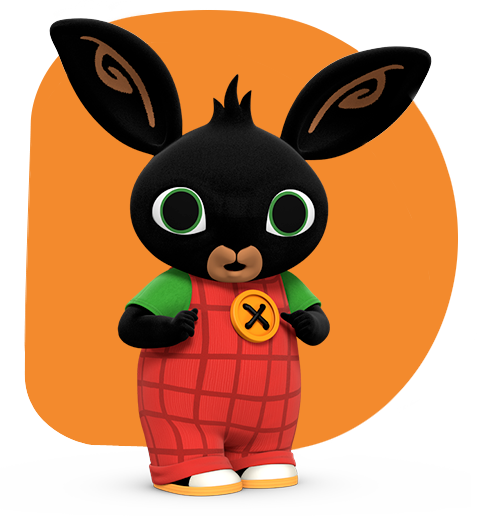 Having developed and tested “beta” versions of the stories with groups of preschool children in Ted’s daughter’s playgroup, and with editorial backing and publishing support of leading publisher David Fickling, a rather wide-eyed, energetic, creative little black bunny called Bing and the grown-up in his life, Flop, were born. Bing TV began its life in September 2003, when Producer Mikael Shields, then Chief Executive of Ealing Family Entertainment – a specialist division of the UK’s Ealing Film Studios – led a creative team (using an approach that Mikael had developed at the BBC) and identified Bing, from a field of over 600 prospective new ideas. The company proceeded to option the film and television rights. Mikael believed that, with skilful adaptation, strong writing, a sensitive approach to the creation of additional characters and with the very best production partners possible, Bing had the potential to deal authentically with a challenging and important moment in the life of every child and grown-up. He felt that Bing genuinely could go on to become an evergreen family favourite – particularly if Bing as a character could be made to feel genuinely relatable and ‘alive’ rather than merely another ‘cartoon character’. Mikael began to hand-pick the partners to join Acamar Films in the long quest to recruit “Team Bing”. Research commenced and work began, working closely with original author, Ted Dewan and Executive Producer Lucy Murphy, to create a series bible and some early sample scripts with experienced writers, educationalists, industry friends and teachers. It took several years and three attempts at a pilot episode to get close to what is now recognisably a Bing script. The team found that, though challenging, it was actually more straightforward to bring an authentic three year old Bing to life on the screen, than it was to do the same with Flop. In fact, one of the enduring challenges of the entire Bing project was to breathe believable life into, and to write credible dialogue for, the enigmatic and highly regarded Flop. In February 2007, and after 3 years of early development it was time to seek a dedicated studio partner to begin the digital character creation process and to experiment to find the best animation technique for Bing TV. Mikael went to New York to attend Kidscreen – the specialist International Children’s Media event – where he met, amongst others, Cathal Gaffney and Darragh “Doc” O’Connell, the Academy-Award nominated (for Give Up Yer Aul Sins) founding partners of leading Dublin-based animation studio Brown Bag Films. There was something about Cathal’s and Doc’s passion, and their discernment in their choice of projects and partners, which convinced the Acamar team that they might be the right partners for Bing. On the first trip to Dublin the team were introduced to Nicky Phelan, now an Academy-Award nominated Director (for the delightful Granny O’Grimm) in his own right. Work began on the animation models for Bing in 2007. By 2008 a touchingly cute version of Bing had been created which formed the basis of the first high-resolution test sequence on the project. 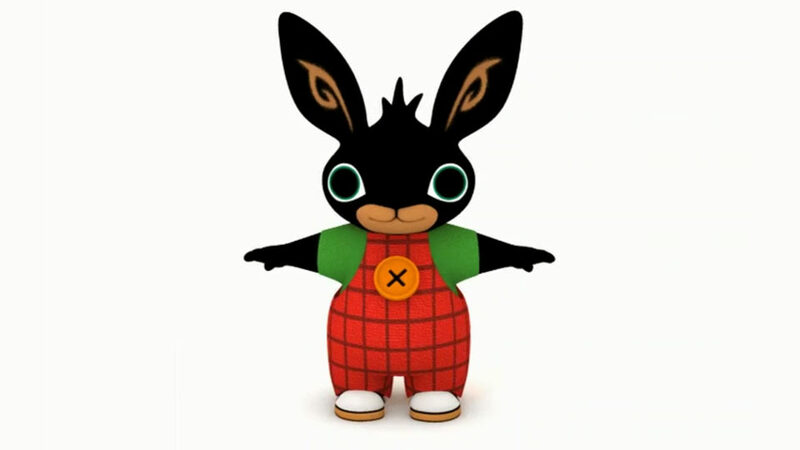 It’s a considerable challenge to get the lighting and animation to work on a solidly black character on screen and it took until July 2008 to successfully conclude the first ever high resolution test sequence showing Bing and Flop, in a temporary environment, simply moving around and interacting with one another. from early attempts at scriptwriting, to later challenges with casting. It was only really as late as 2010 that two separate strands of activity came together and Flop, as the television character we have all come to love, was truly born. The Acamar team did immersive research in the classroom to understand more about Maria Montessori’s developmental philosophy for young children and, after being profoundly affected, as were so many others, by Mark Rylance’s extraordinary performance as Johnny “Rooster” Byron in Jez Butteworth’s Jerusalem, Mikael wrote to Mark to ask him whether he’d consider helping to create the character of Flop. To the team’s delight, Mark said “yes” and over a six year period Mikael and Mark have collaborated closely on the creation of Flop as we have now come to know and love him. 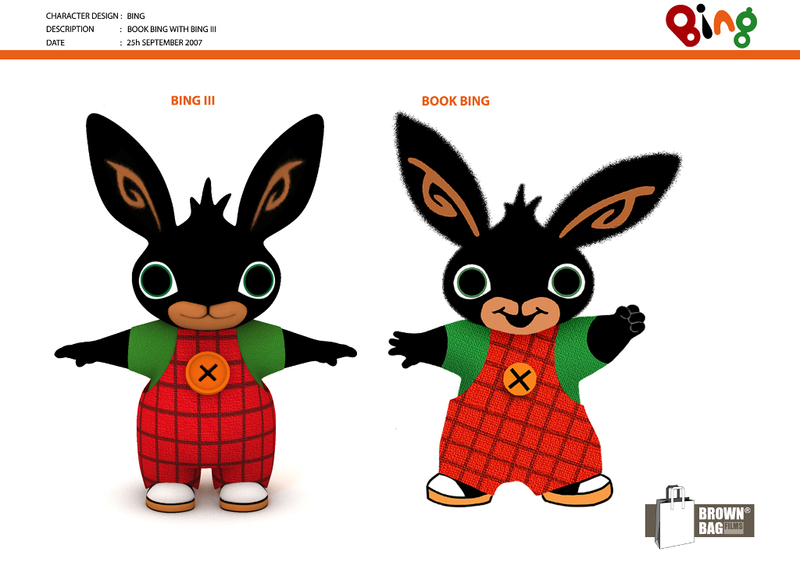 Team Bing collaborated over a lengthy period to experiment first with the animation techniques which would bring Bing and Flop to life. They also set about imagining, for the first time, the extended cast of people we’ve all come to know and love who share Bing and Flop’s lives; Sula, Amma, Pando, Padget, Coco, Gilly, Popsie, Sunshine and of course Charlie. Bing is ground-breaking in its truthfulness. Team Bing have christened the short stories told in real time by Bing television episodes: ‘micro-dramas’. They portray the full range of pre-school behaviour in a way that is supportive, positive and non-judgmental for Bingsters AND the grown-ups who love them. Unusually, for a project aimed at this age-range, Acamar employed a team writing approach in the creation of Bing TV scripts. 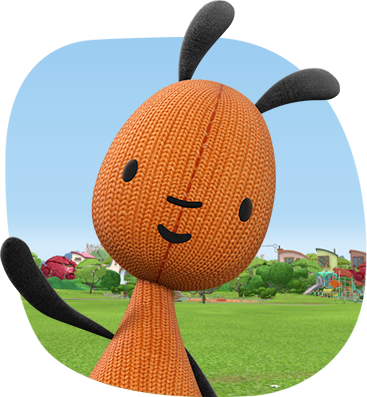 Bing has been nominated for a BAFTA and has also won the Writer’s Guild of Great Britain Award for Best Children’s Television Series. Hooked by the empathy, humanity and positive relationship between carer and child, Bing has since, with the help of a highly talented team including a writing team led by executive producer Lucy Murphy, lovingly developed Bing into a series of 78 episodes and to win a much coveted broadcast slot with both the BBC and S4C in the United Kingdom (and now with over 40 additional international Broadcast partners). Bing continues to top the charts on CBeebies iPlayer and iTunes and has gone on to become a best-selling DVD and a beautifully-crafted range of products by Fisher-Price, Ravensburger and HarperCollins. Bing was creatively conceived for both television and the digital realm from the outset. Working together with the award-winning digital agency at Aardman, Team Bing is currently working to create a new, beautifully immersive, open-ended play experience for mobile devices. The online offering is being created in partnership with another award-winning agency, Complete Control – right now the number one agency of choice for the BBC’s CBBC and CBeebies indie digital production. At Acamar Films we continue to select the very best media and means to carry on the journey with this remarkable little bunny, creating the stories that resonate with pre-schoolers and their grown-ups alike. 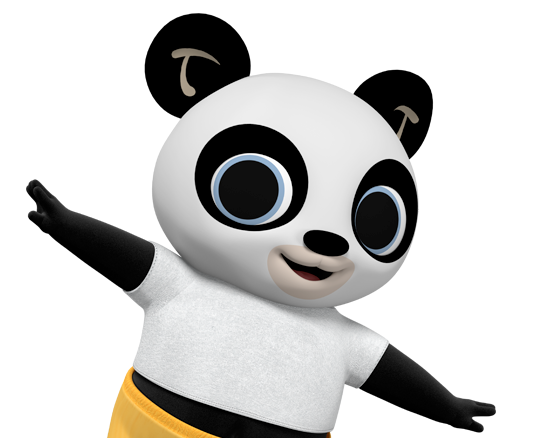 We look forward to bringing these cherished characters to more Bingsters and the grown-ups in their lives as we create content for mobile and desktop and translate the Bing series into over 30 languages.